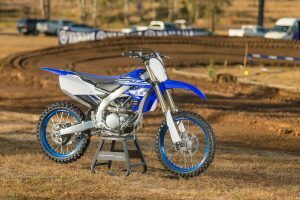 MotoOnline.com.au tests the 2019 Yamaha YZ250F. 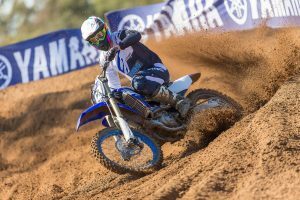 When I received the invite to test the all-new 2019 Yamaha YZ250F, I knew it was going to be another action-packed couple of days. After a hard-fought day duelling it out at Kingston Raceway Go Karts jostling, bumping, brake checking and slip-streaming for track position and overall bragging rights, the banter amongst the Yamaha Motor Australia staff and media guys was top-notch. 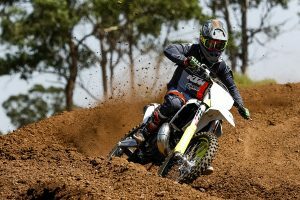 We then went from race mode to all business and headed to the Metro in Ipswich to learn about the new quarter-litre machine, which is a completely new bike in 2019 featuring updates from the ground up. 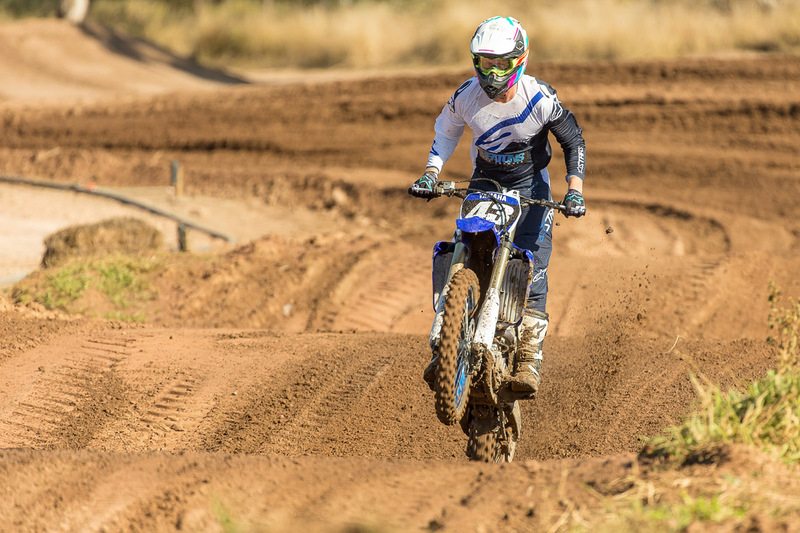 After spending the night learning about the bike, we all piled into the mini van and headed out to Willowbank MX Park to put them to the test. As we rocked up to the track we noticed everyone’s bike was equipped with their own individual front number plate to identify their bike. 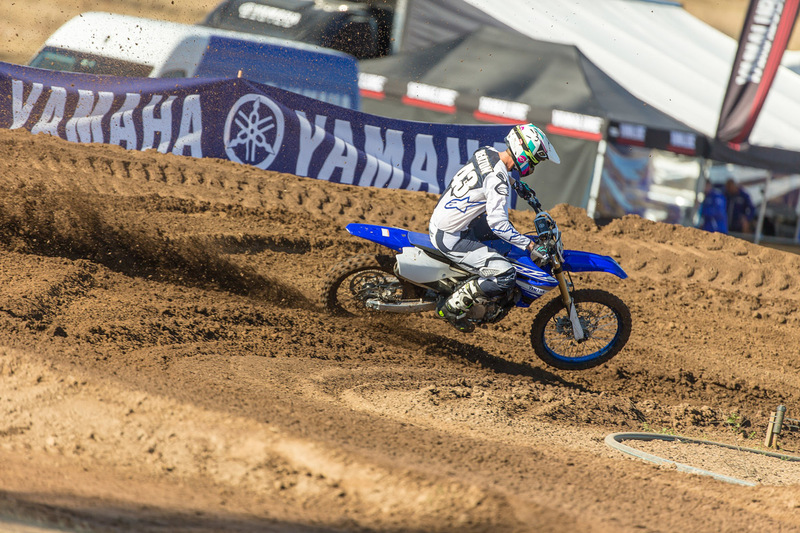 The guys had the track in top shape and it wasn’t long before we had the bikes out there cutting lines into the freshly watered and prepared dirt. 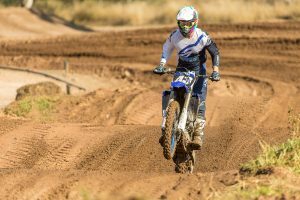 The track started out quite heavy, but by midday it provided some good lines and the varying surfaces of sand and clay kept you on your toes searching for that ever elusive front-end traction. 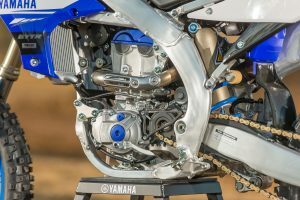 Finally, you do not have to kick start the Yamaha YZ250F any longer – it has taken some time for Yamaha to equip its new-generation 250F with an electric starter purely because of the additional weight it adds to the motorcycle, but the Japanese manufacturer has managed to keep this to a minimum by using a lightweight lithium battery, which adds an additional one-kilogram in comparison to last year’s model, ultimately weighing in at 106 kilograms. 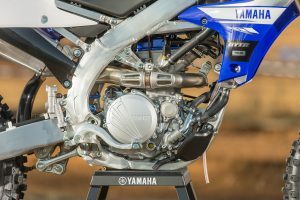 Maintaining its reverse-cylinder design, Yamaha has managed to angle the engine slightly more upright for improved mass-centralisation and has bumped up the compression ratio to 13.8:1. Adding a high-compression piston, improving the intake ports, exhaust ports and an improved shape of the header pipe where it joins into the exhaust manifold have provided a much more lively and extended power throughout the whole rpm range. The clutch has also been updated and now has less fibre plates and thicker steel plates with an additional spring being added to the pressure plate – this provides a much more positive and direct feel from the clutch and delivers a very smooth action at the lever. 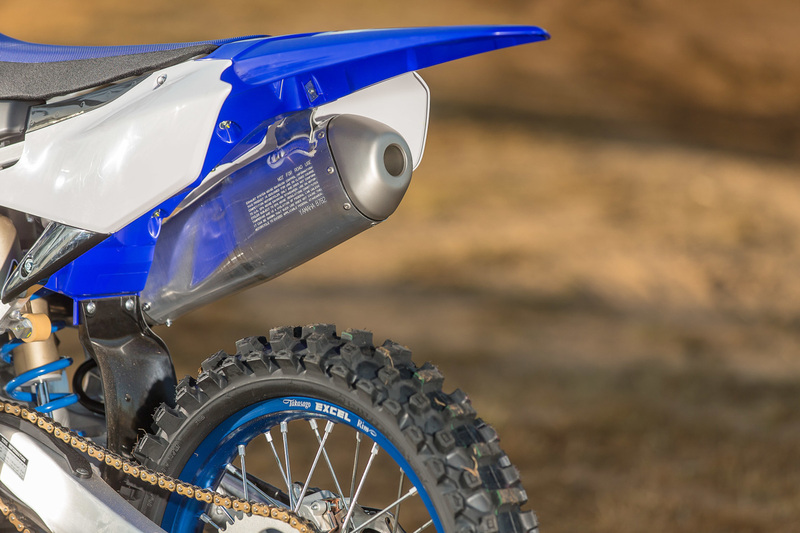 The radiators are larger and have been repositioned, while being angled more directly at the incoming air-flow to keep the bike running as efficient as possible. 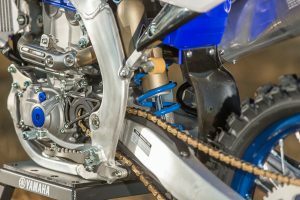 Not only have the radiators been taken into consideration when trying to keep this bike cool, it has received a new impeller and water pump to further assist in endurance and reliability. 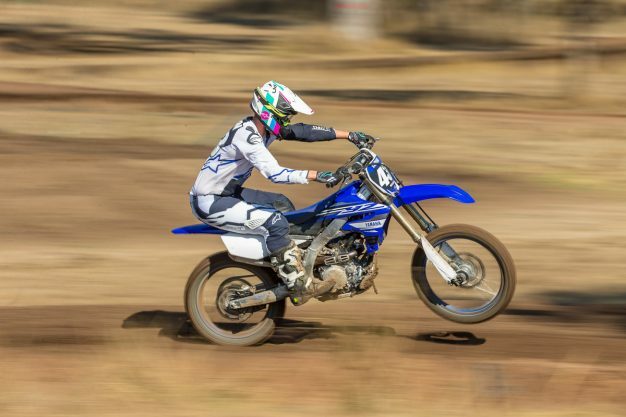 Equipped with the same front brake system as the 450, there is no denying the 270mm rotor is more than capable of pulling you up under any circumstances. There is more simplified servicing with tool-less access to the air-box and maintenance reminders and records being stored on your smart phone app – this is a great innovative way to ensure your bike is getting the attention it deserves. The 2019 Yamaha YZ250F delivers a really dynamic and versatile engine package, featuring a really strong punchy bottom-end for a small-bore that rockets you out of the turns. 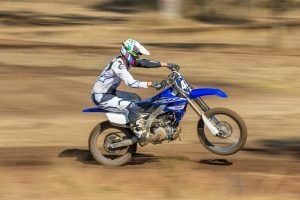 It’s quite a hard-hitting and impressive bottom-end that gets you up on the pace quickly, however if you find yourself getting a bit fatigued or you just generally want to ride in a lower rev range, this engine has the torque to pull it also. Unlike its predecessor, it has a lot more mid- and over-rev so you don’t run out of legs like you previously did – you can really rev this new engine without feeling bad about it and it still makes good power. 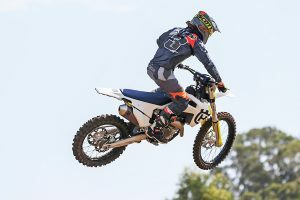 I found the engine really easy to ride and it had the right amount of power throughout the entire rev range to accommodate all types of riding styles, especially for a 250F. 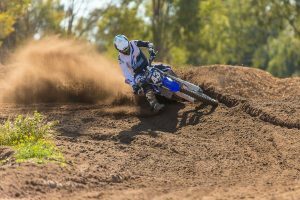 Equipped with the new Bluetooth Yamaha Power Tuner smartphone app, you can match the power delivery to your exact desire all with the application, which is what we did early in the day to maximise the performance of each individual bike to the rider. Also with the ability to pre-set ignition maps, you can swap from an aggressive tune to a more subtle and usable tune on the fly with a simple push of a button, which would come in handy for changing track conditions throughout the day or if the weather is looking a little unpredictable and you need that secret mud map up your sleeve just incase. Another cool feature of the tuning app is the ability to share the info with your mates, so if you happen to come up with a really good map you can instantly pass that on to help your buddies get the most out of their bike too. 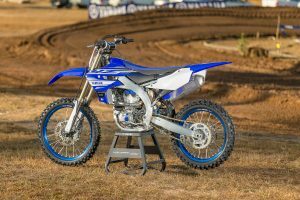 The chassis is completely new in 2019 and they have made it a lot stiffer, which in turn has made the steering a lot sharper and more direct, but also made for a firmer ride. 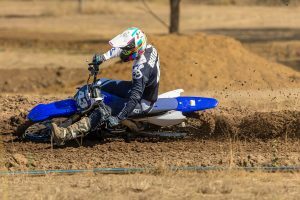 With the track being quite soft in the morning it was harder to feel but after a few lines had been cut in you could feel the rigidity of the frame becoming more evident through the handlebars and foot-pegs as the day went on. The new frame design complements the steering really well because there is a lot less effort required to negotiate the turns, but small adjustments are way more noticeable because with less flex there is a lot more feedback to the rider. 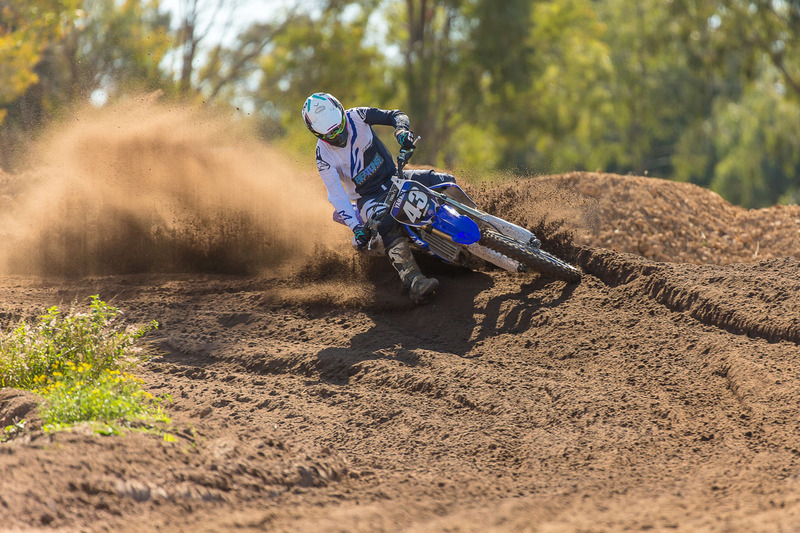 When you push the bike hard into the braking bumps you can really feel them spring back towards you, while the rear is chasing you from behind. Having such a centralised engine, I found it makes it difficult to identify the exact handling characteristic to chase because the bike is not bias to either end – it rather provides a sound platform to go either way depending on your riding style or preference. The rear of the bike is 19mm lower at the rear of the seat to make it easier to get on and off, plus it’s also easier to get off the back of the bike when you’re powering up a long straight or tackling a set of rollers. The 2019 Yamaha YZ250F has also been made slimmer by narrowing the frame, repositioning the radiators and reducing the size of the fuel tank. The seat has also been updated, which is roughly 9mm higher where you sit compared to the previous model, and that gives you a much flatter feeling as opposed to sitting more into the seat like you did on its predecessor. It really enables you to move more freely over the bike. 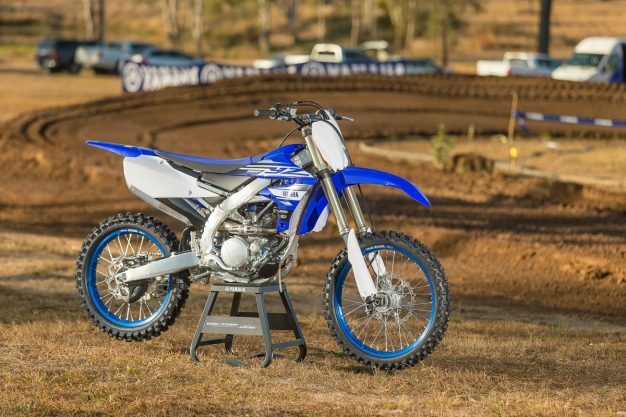 Summarising the 2019 model Yamaha YZ250F on test, it has a fantastic engine package that will seriously impress anyone who throws a leg over the bike. 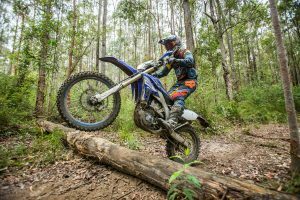 The new chassis really improves the steering capability and provides a lot of feedback from it’s rigid design, which makes you feel some of the bumps more than you previously would have. All in all though, I think it’s a serious race package and the changes are definitely more positive. 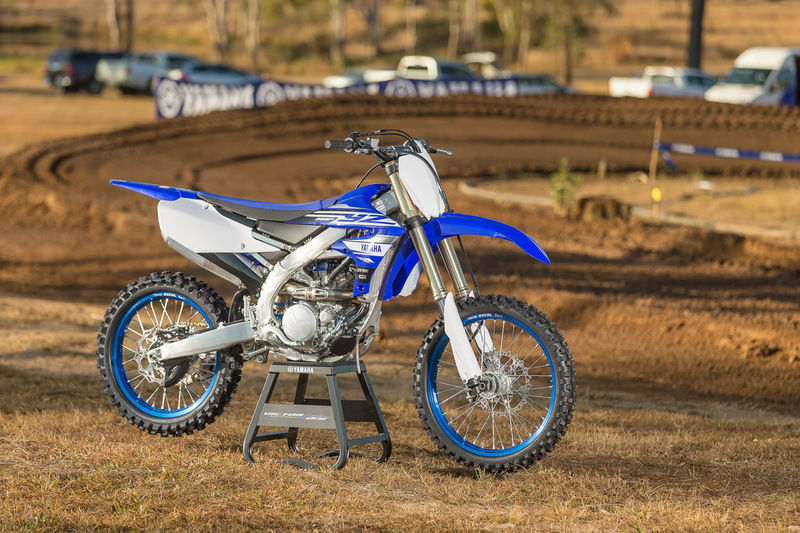 Having the ability to tune the performance of your bike at the track really helps you rock up to the start-line knowing that you have a very competitive bike underneath you.